The Mount Mayon volcano continues to spew lava, with lava fountains gushing up to 700 meters into the sky Tuesday, as the Philippines authorities advise people to stay away from the eight kilometer danger zone. 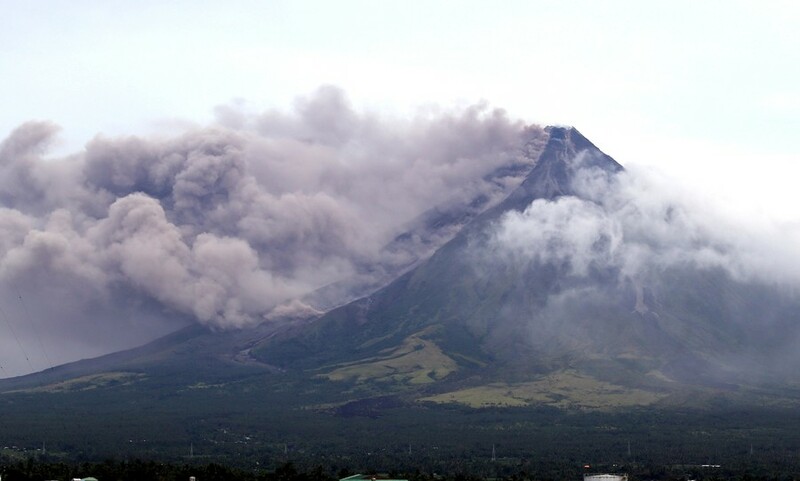 Mayon, the country’s most active volcano, began stirring last week, forcing some 40,000 residents in the central province of Albay on the island of Luzon to flee their homes fearing an eruption. The Philippine Institute of Volcanology and Seismology (Phivolcs) raised the alert for Mayon to level 4 Monday, just as the crater showed signs of increased activity. On Monday afternoon the volcano generated a “dense, five-kilometer tall eruption column” that lasted for about eight minutes. 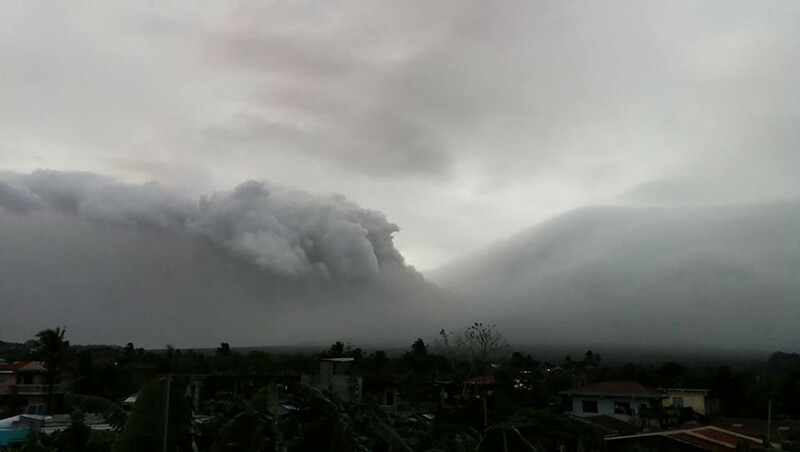 Volcanic ash then started covering the Municipalities of Guinobatan, Camalig, Oas, Polangui and Iriga City. 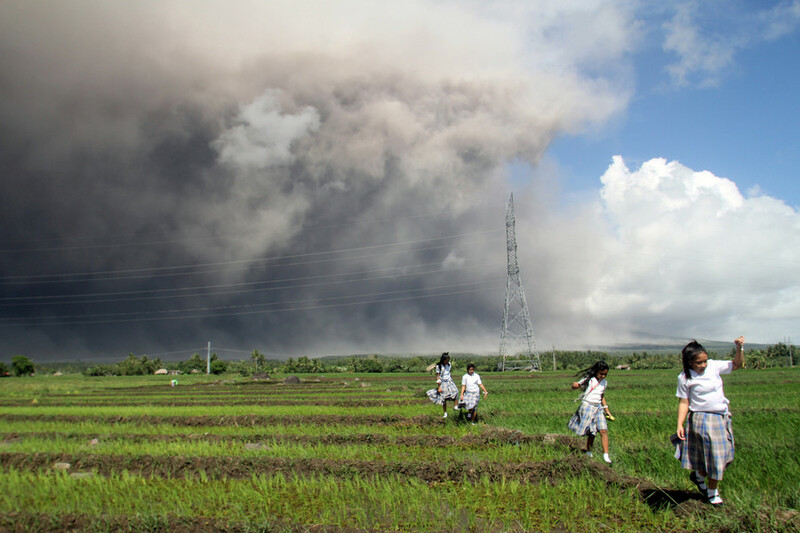 Shortly before 6:00pm local time, the volcano spewed out another 500-meter-high ash column. 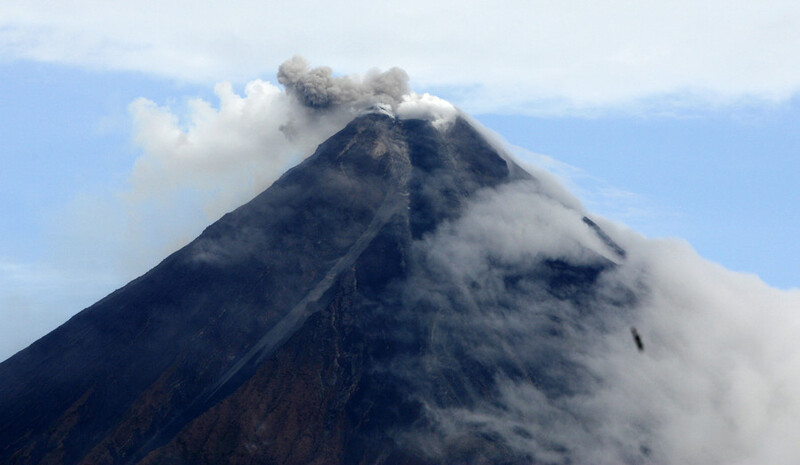 Five more eruptions were recorded between 9:37pm and 5:25am Tuesday morning, Phivolcs said in their latest announcement. The public has been advised to be vigilant and to stay outside the eight kilometer radius of the danger zone. 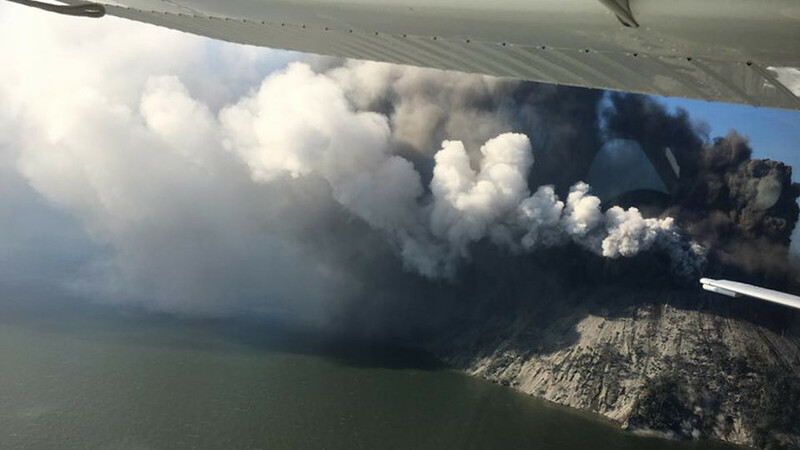 “Civil aviation authorities must also advise pilots to avoid flying close to the volcano’s summit as ash from any sudden eruption can be hazardous to aircraft,” the statement added. Cebu Pacific and Philippine Airlines already canceled some flights to and from San Jose Airport (Mindoro). Airports in the cities of Naga and Legazpi, as well as nearby Masbate Island, have been closed, while small aviation was banned from flying near the volcano. 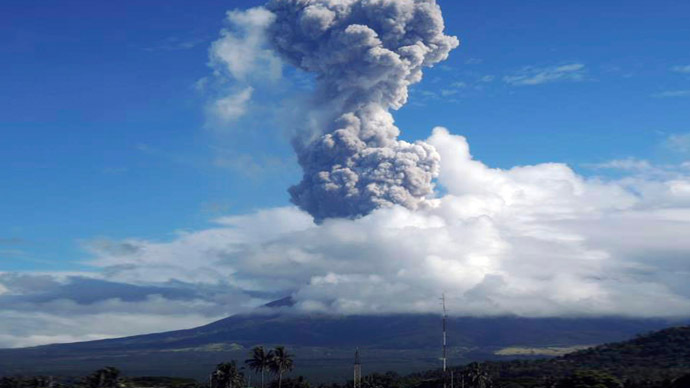 All schools in Albay Province have also been shut following the volcanic eruptions.